Buy Cotswold loose lime flower tea 50g in the UK from our online shop or directly from our independent Scottish store. Lime flower tea can be drunk at any time of the day or at night as a relaxing drink. Naturally caffeine free. Where can you buy real Lime Flower Tea 50g safely online? If you are wondering where you can buy Cotswold loose lime flower tea 50g safely online in the UK, then shop with us. 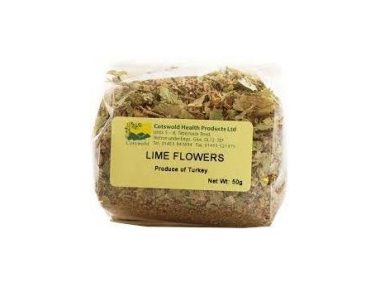 Lime Flower Tea 50g - Cotswold loose lime flower tea 50g in Loose Teas and Tea Loose & Bags.